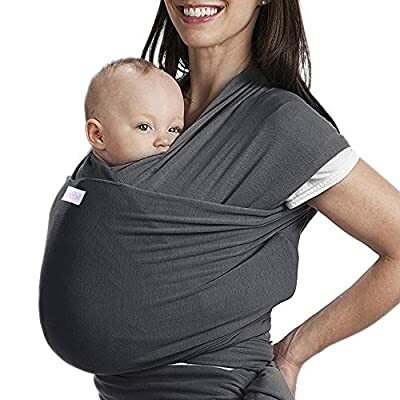 £54.99 (as of 25th April 2019, 11:28 am) & FREE Shipping. 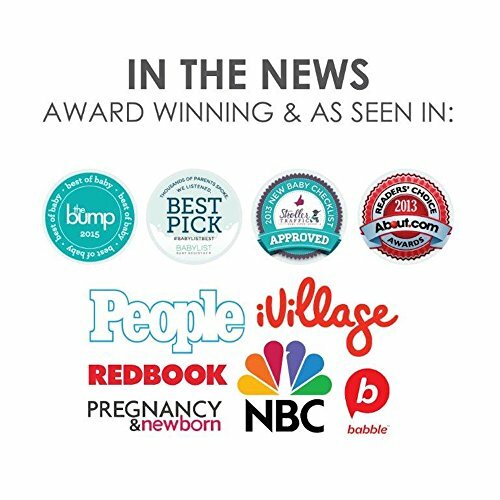 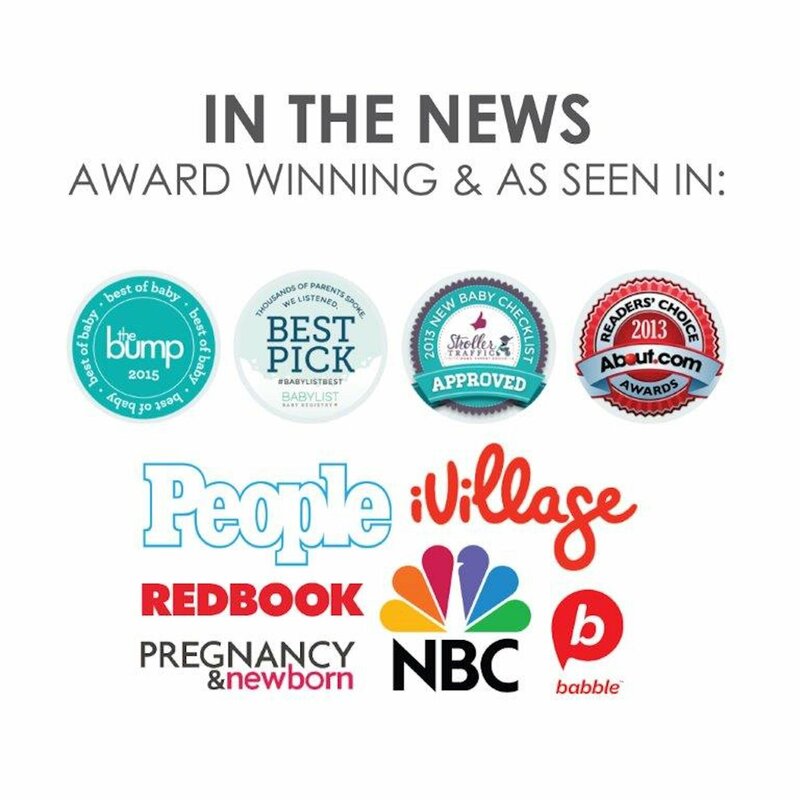 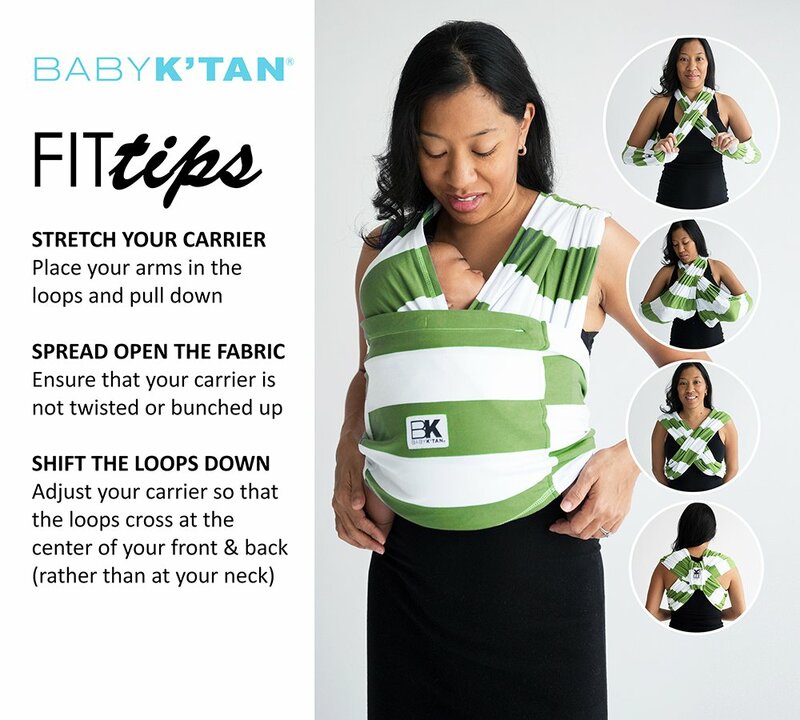 The award winning Baby K’tan ORIGINAL Baby Carrier is a wrap-style carrier without all of the wrapping. 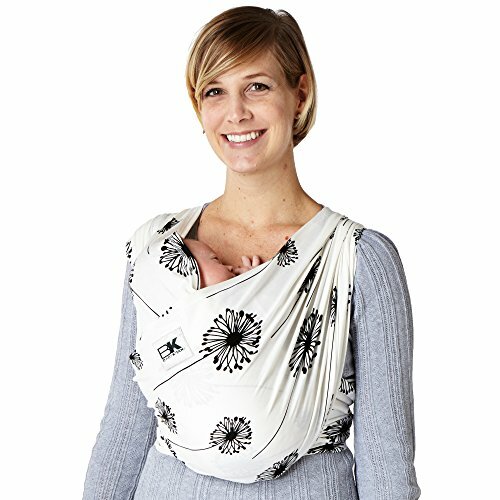 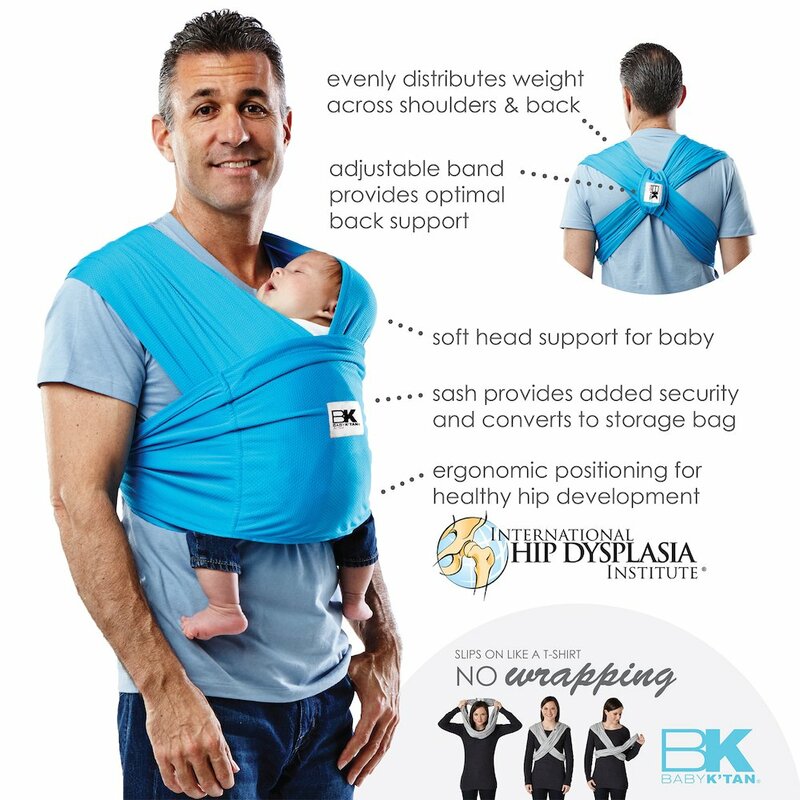 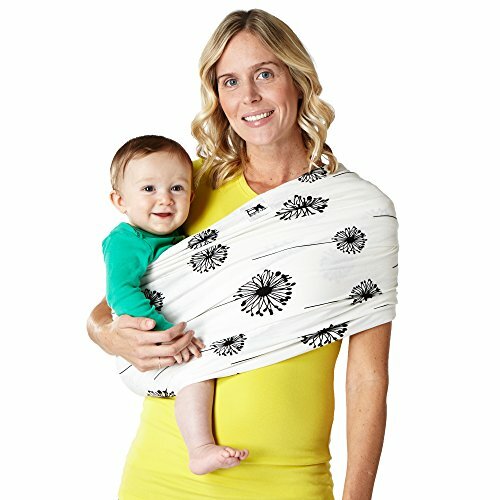 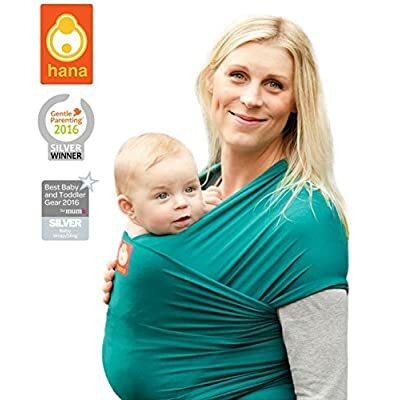 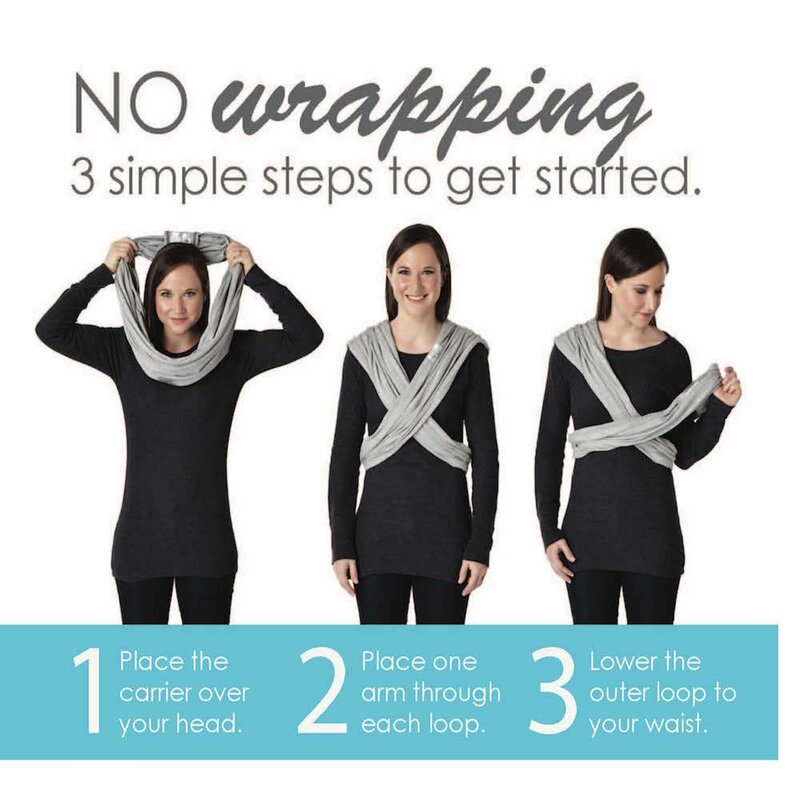 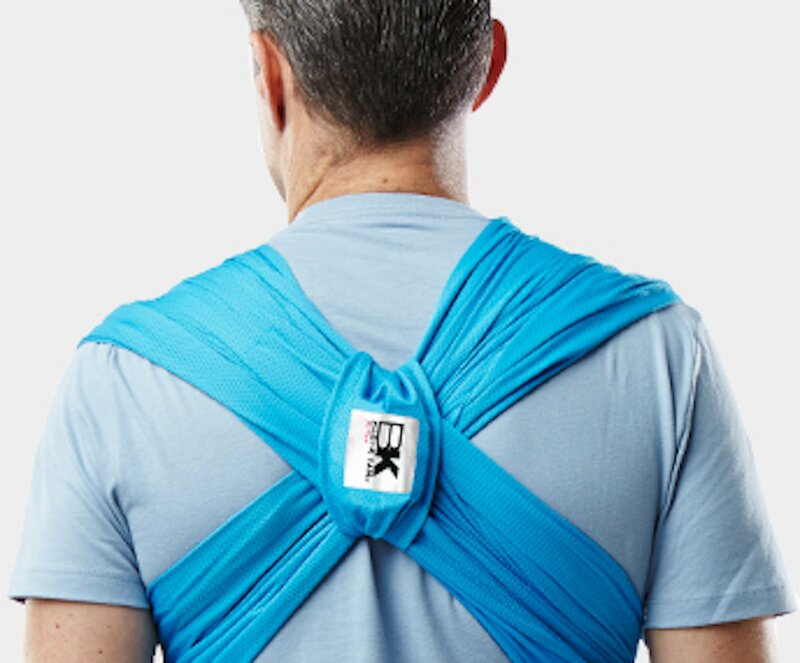 Our patented double-loop design is an innovative blend of a sling, wrap and carrier all in one, providing the positions and benefits of all three. 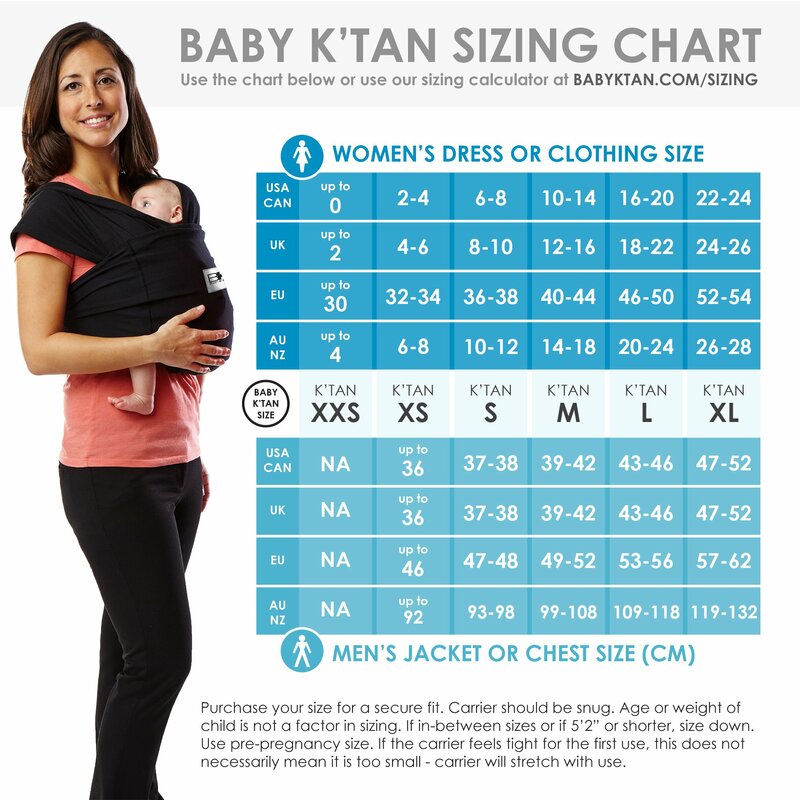 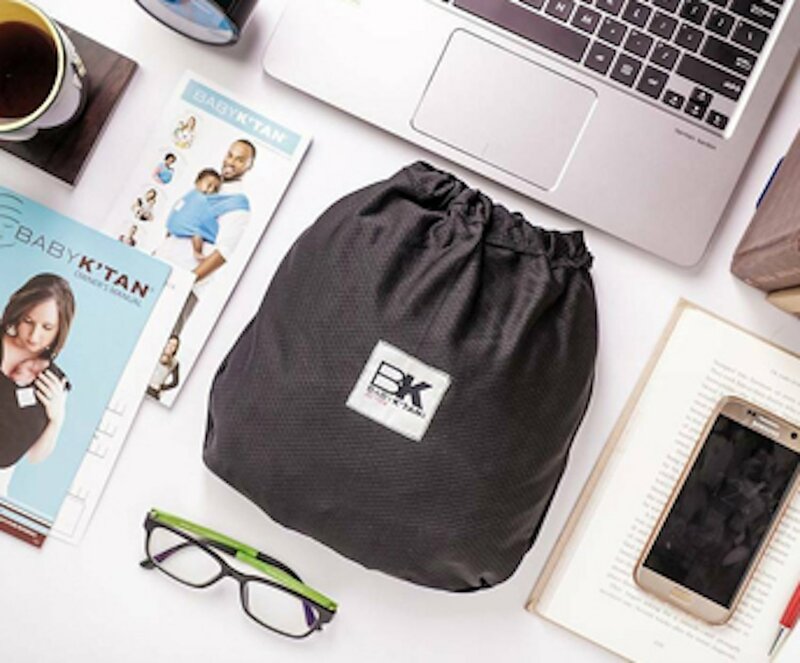 Individually sized to fit either mom or dad (refer to sizing chart to select correct size), the Baby K’tan Baby Carrier slips on easily like a t-shirt to comfortably carry baby from newborn to toddlerhood (8-35 lbs.). It is lightweight and compact like a sling, yet supportive like a structured carrier. 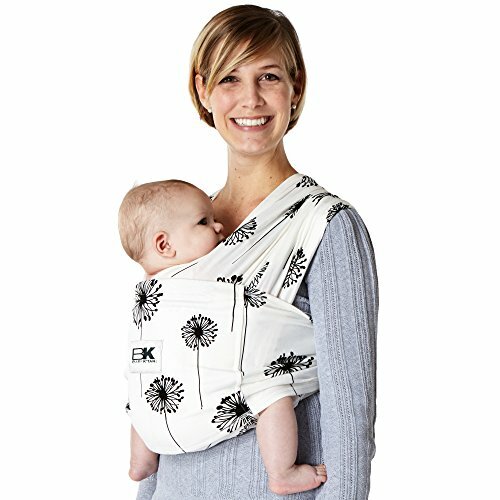 Made of 100% soft natural cotton, the Baby K’tan ORIGINAL Baby Carrier is free of harmful chemicals, formaldehydes and azo dyes, and contains no hardware, plastic or metal. 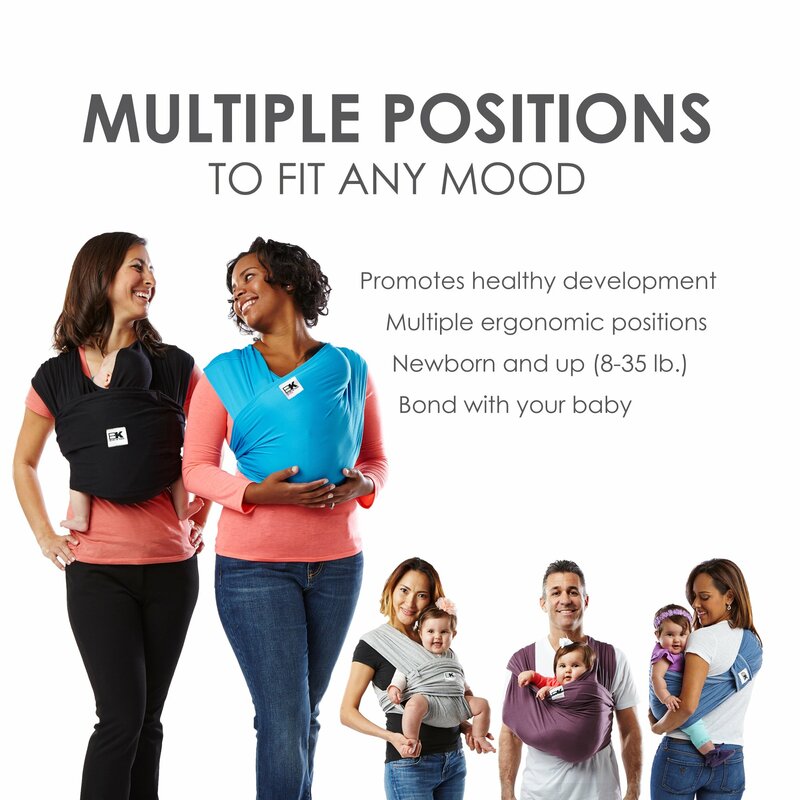 Offering multiple positions without the need for wrapping or buckling, the Baby K’tan Baby Carrier provides added security when wearing baby and privacy for mom while nursing. 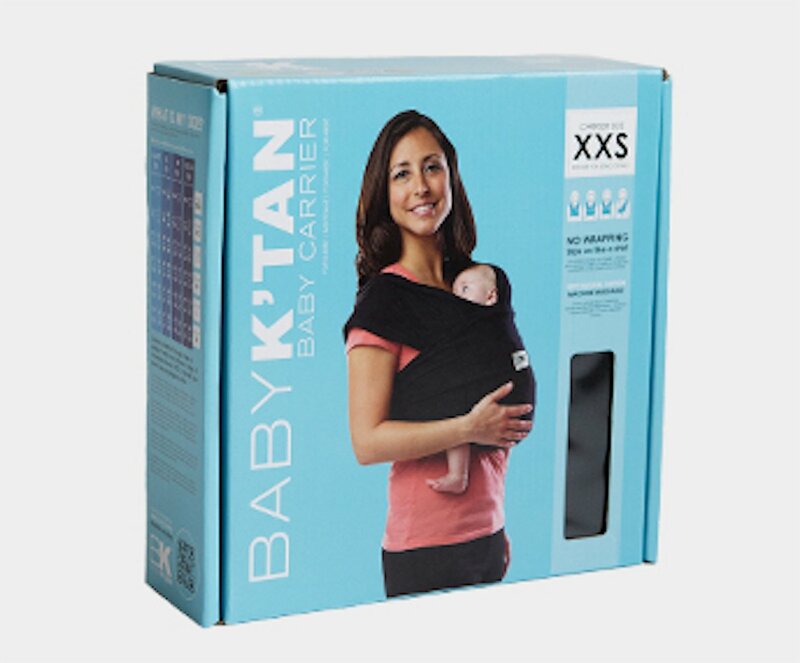 Available in multiple fabrics and colors, the Baby K’tan Baby Carrier is machine washable, dryer safe, and comes with a matching sash that converts to a carrying bag.